Sitting around a warm outdoor fire pit, recalling fond old memories is something everyone enjoys, especially on those chilly nights! Now your clients can organize their own unforgettable fire display with our 25" round drop-in pan with electronic ignition kit (natural gas or propane). With just the flip of a switch, your clients and their guests will be enjoying a brilliant flame and lots of wonderful conversations! 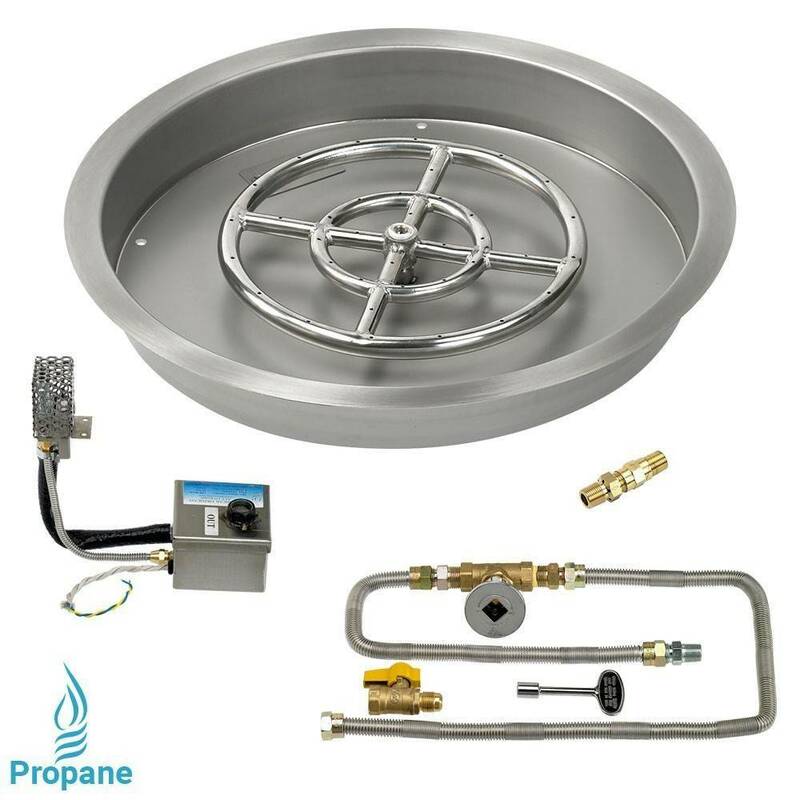 25" Round Drop-in Burner Pan - Our 25" round drop-in burner pan comes with a convenient 'lip' so that it can be installed into your circular fire pit and easily removed after use. This burner pan greatly reduces the amount of fire glass you will need to fill your fire pit by creating a false bottom which gives the illusion that your fire pit is full, whereas only the top part of it is. 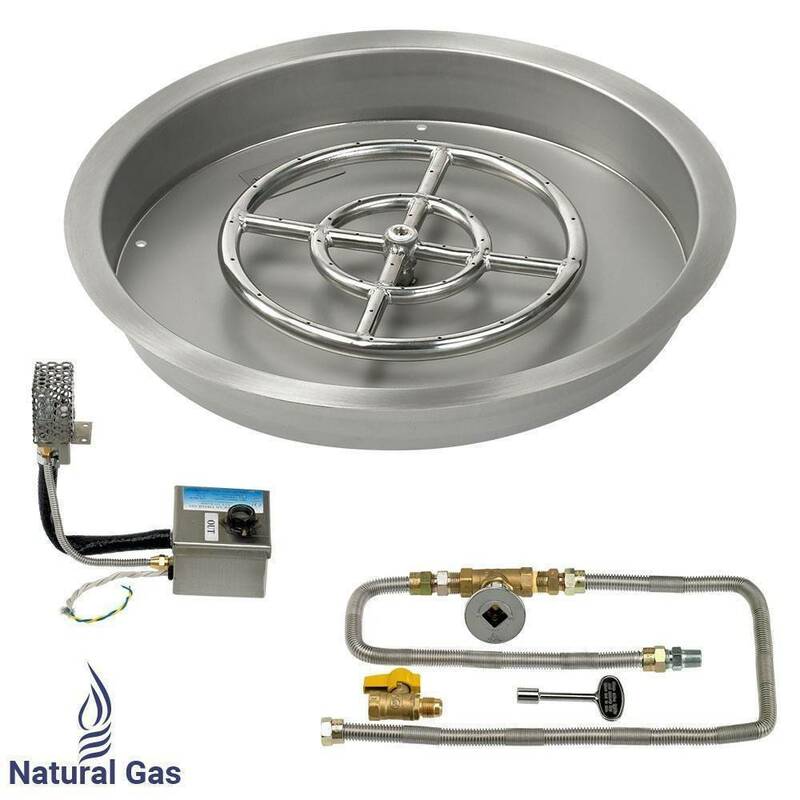 All our round drop-in burner pans are made of 100% stainless steel, which means they are very durable and can withstand extreme heat as well as harsh weather without sustaining any damage or rusting. 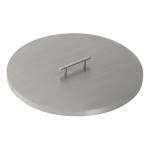 They also come with built-in, drilled weep holes to prevent water accumulation.